It's time for the seventh update & mini-challenge! Here's your challenge: Name one book you think should be taught in school, grade of your choice. Here's my update and mini challenge answer! I have two books that I would put into this category, both for high-school grades. The first is Life of Pi. This book was not only a great and gripping read, but when I finished it I just HAD to talk to someone about it. I couldn't WAIT to get to class to discuss. And there's SO MUCH to discuss! It's still one of my favorite books. The second book would be The Book Thief. This book is so powerful, and one THE BEST historical fiction novel I have ever read. It is long, which might daunt some students, but the story is also very gripping. My only fear is that students might just automatically resent these books if they were assigned reading. But I guess that's a risk with any book. If YOU participate in this update and mini-challenge, you will be entered to win a SIGNED copy of The Book Thief by Markus Zusak! 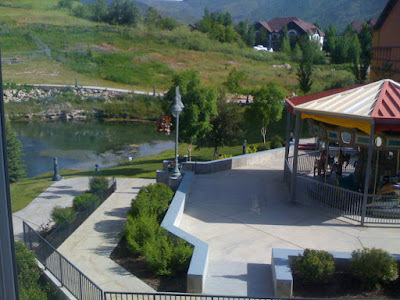 Link to your post below in the Mr. Linky. If you want to link to your post, but do not want to be entered to win The Book Thief, merely place two asterisks before your Mr. Linky entry. Enna Isilee @ Squeaky Books WILL enter you to win. This giveaway is for bloggers and NON-bloggers. Non-bloggers should post their answer in the comments. This giveaway will only be open until Update #8 is posted at 12:00pm MST. As always, be sure that you have read and understand everything in the STUFF TO KNOW post. Awww this challenge got me to think about my fifth graders. I miss them! I don't know how the American schools work. So I've answered the challenge the way UK schools work. Lol Don't have a clue! I'd suggest Lizzie Bright and the Buckminster Boy for middle grades. Thanks! Fun challenge! I homeschool, so I am curious to see what everyone puts for this! The Book Thief is amazing! I just read it this year and I think it would be a wonderful addition to school curriculum! I plan for my kids to read it when they are a little older! I wish I could enter this mini challenge. I love the Book Thief. But I can't post to my blog with my phone. I've been driving for 2 hours so I've not read any since 6:30 am. For elementary schools I think Maniac Magee is a must. Funny you mention those two because my Freshman year The Book Thief was an option to read and study and this year The Life of Pi was an option. Awesome challenge. And I haven't read The Book Thief so double awesome! How I'm currently feeling: Hungry. Going to take a bit of a break to get some lunch, then it's back to the stacks! Mini Challenge: I think every elementary school student should read "Number the Stars" by Lois Lowry. Loved, loved, loved that book when I was young. Totally impressed upon me that horrors that are out there and how to have to strength to overcome them. 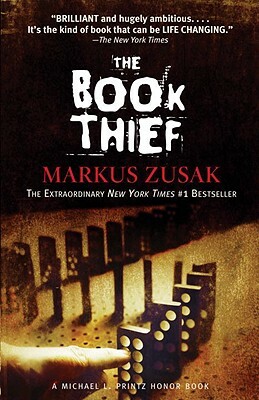 OMG, I would KILL to read "The Book Thief" by Markus Zusak! This challenge is yet another one of my favorites, because the book I am speaking of, I believe, really is a book that holds the power to change the minds of people who read it. I believe young adults AND adults alike ought to read this book! I'm homeschooled and I've never been to any school before, so I was kind of clueless for this one! I'm totally with you on $12 pancakes! Rawr! But I DO love your view! 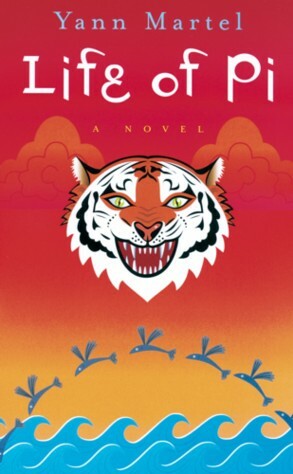 OK ... so ... Life of Pi .. read it ... even read it twice trying to figure out why it was such a hit .. liked it well enough .. but for me, it just wasn't "it". Life of Pi is amazing and I wish I had it to read during my school days! June's New Release Giveaway, May Winner!